The charitable efforts of James Dondero have led to success for many different organizations in the Dallas area. Dondero is known as an entrepreneur who is able to use his skills as a businessman to benefit the work he does as a philanthropist. He has made his vision a strong and positive force in the Dallas community. It is based on his financial contributions and more for the organizations he supports. This is a way individuals capable of giving financial and volunteer support can work toward eliminating the problems of society. The goal of philanthropy is to benefit society by supporting scientific research, improving education and providing opportunities for individuals in society who have none. Philanthropy involves supporting important organizations that benefit society like zoos, universities and more. James Dondero is the co-founder as well as president of Highland Capital Management. Since 1994, Dondero has called Dallas his home. 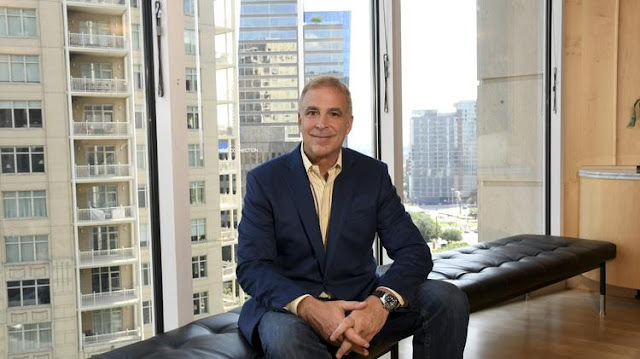 His firm is a global operation, but Dondero made a decision to focus his charitable giving on the local Dallas community. He has provided financial support for The Perot Museum of Nature and Science, The Dallas Zoo, Education is Freedom as well as The Family Place and other local charitable organizations. This is the largest provider of services to help with family violence. This organization provides educational programs that can change lives as well as provides shelters, professional counseling and more. They are dedicated to serving victims of family violence. They also speak with hundreds of students and try to educate them on preventing teen dating violence, bullying and more. Its able to provide its programs in both English and Spanish. One of Dondero's recent projects is contributing to the Dallas Zoo's newest exhibit. His donation combined with donations from others made it possible for the Dallas Zoo to construct a Hippo exhibit. It is considered state-of-the-art. The exhibit is called Hippo Outpost and is located in the Wilds of Africa section of the zoo. Dondero's donation made it possible to also build the Highland Hippo Hut. This is a place dedicated to private events as well as special educational displays. This Scholars Program Fund for Endowed Tower was created from an endowment gift of $2 million made to Southern Methodist University from Highland Capital Management. This program has been structured so it is supports exceptional undergraduates. It will provide aid to students who are studying international affairs and politics. The goal is to increase a student's awareness of ethical public service. Students who are accepted into this program are provided with opportunities to study abroad as well as exposure to different levels of public policy making. Each will have a senior-year internship designed to provide a meaningful educational experience. At-risk youth who want to earn a college degree can receive financial support from EIF. This organization is dedicated to providing mentoring, professional development as well as standardized test preparation, internships and more. These services are provided by some of the most successful nonprofits and corporations in the Dallas area. It has worked with the Dallas Mayor's office to create an Intern Fellows Program. It is an internship that runs for eight weeks in the summer. This organization consists of volunteers who are investment management professionals and dedicated to helping children in need. Their mission is to protect, encourage and protect at-risk children. Capital for Kids is an organization that believes all children should have an opportunity to succeed. It provides valuable services including quality education programs to hundreds of families in the Dallas area that are low income. Mr. Dondero and Highland Capital management are leaders in working to get industry peers to help support worthy causes. They are considered valuable partners when it comes to making a positive impact in the Dallas community. Mr. Dondero and Highland Capital management are dedicated to helping children break free from a cycle of abuse, poverty and provide them with the opportunity to succeed.